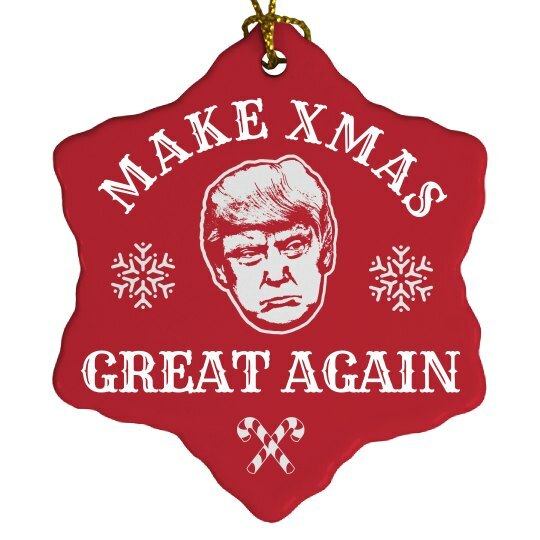 It's time to make Xmas great again! This Christmas, show your full support for your new president with this cool hanging Christmas tree ornament. The stars and stripes look just as good on a tree as they do a flag!